Hello! Our coffee shop in Thirsk is ready to fill you with delicious meals, little bites, snacks, your favourite hot and cold drinks. While we do not reserve tables, we serve every guest as fast as possible. Dedicated menus are available for breakfast, lunch, drinks, and our special Sunday lunch - not to mention the gluten-free menu. You can also choose from a variety of drinks, including wine. For afternoon tea, we have cakes and scones to go with it. In short, there is something for every guest in our tea room in Thirsk! The coffee shop is managed by a select team of local professionals with years of experience in the dining industry. The place is decorated to comfortably entertain several parties at once and the menus our team has prepared reflect on their expertise and love for British traditions. The ingredients used in our meals and snacks are either homemade or locally grown or bred. Breakfast: Our breakfast menu is packed with traditional British favourites for the morning. We offer a full Yorkshire breakfast, a lighter version of it, a complete meal for our vegetarian guests, and a full gluten-free breakfast. You can also choose items a la carte and enjoy with your favourite cup of coffee or tea, whichever you prefer. 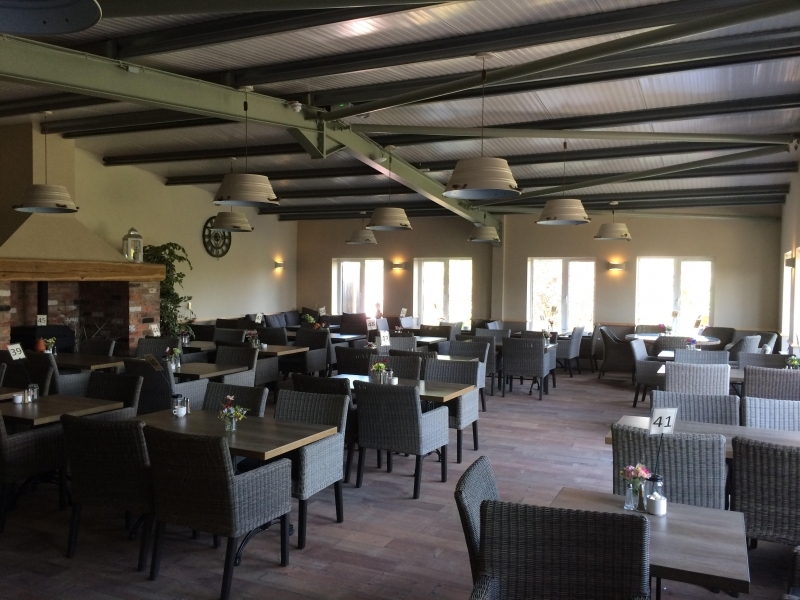 Lunch: Our lunch menu comes with even more options for our guests, offering soups, sandwiches, Panini’s, jacket potatoes, various special salads, chips, patchwork pate, quiche, and a few more choices. Each selection comes with an enticing combination of items in the serving and is wholesome in taste, portion, and nutrition. Of course, for our coeliac guests, we have a long menu with many meal options in lunch so they do not feel left out in any way. Sunday Lunch: Our special lunch on Sundays is an indulgence. Apart from all the options we offer at lunch on any other day, we have Sunday roasts added to the menu that are served in one of the three recipes you can choose from. We also offer a small roast if you like smaller portions and mini roasts for children. With that we also add beef or pork Ciabatta and Yorkshire puddings. Our gluten-free menu for Sunday lunch is also taller and includes the Sunday roast. Drinks: When it comes to drinks, you can choose between tea and coffee. For coffee lovers, we serve the award-winning barista coffee that balances the bitterness out and lets you feel the sweetness with it. Our coffee comes with the usual picks, such as cappuccino, latte, Americano, and many more. Our tea loving guests are served either with traditional teabags or a specialty and loose leaf tea of their choice with many flavours to choose from. On the other hand, you can order hot chocolate or your poison of choice if you want to. We have the same kind of variety in our ambience and seating options as well. You can choose the closed, warm and quiet ambience of our main lounge set with plain wooden tables and weave chairs or comfortable sofas. Furthermore, you can choose a more private room with dining arrangements for you and your guests in lavish sofas. However, if you prefer the weather outside, you can sit in the sun or in the balcony. If you have brought along your dog, we have a dedicated section for dog-friendly seating. At the same time, we can find you open space with shade if that is what you really want while the children can entertain themselves in the play area in our gardens. Our award-winning Darkwood coffee is truly the best bar none. Its balanced flavours satisfy an ordinary coffee lover and the texture our coffee maker produces for every cup is smooth and sensational to feel on the tongue. Combine your cup of coffee with a visit to our garden centre where you can buy, plants, garden furniture, garden tools and so much more! Come on over for a breakfast, the best coffee in Thirsk, or Sunday lunch with your family and enjoy the many flavours of our coffee shop in Thirsk.